Ahh! So FATTY! Pork belly? Looks just like bacon :). 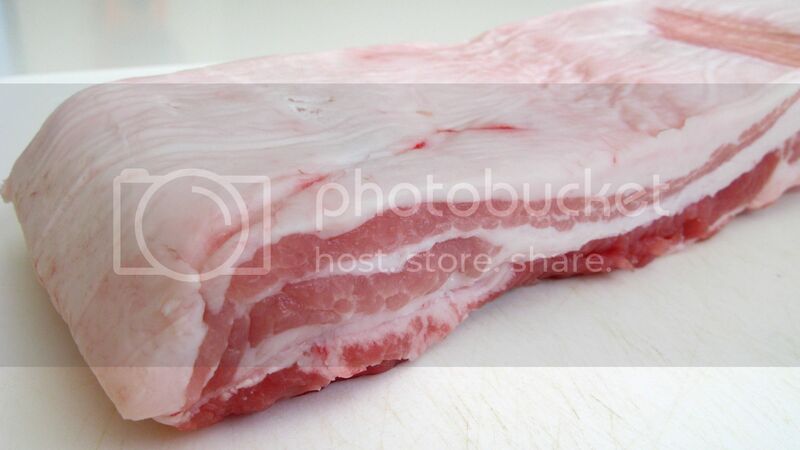 Usually I get a leaner cut of pork but still with a top fatty skin part for stewed cooking. Yes I love fatty stuff!! It was like oozing in my mouth! So yummy! Haha I know, I can't wait too. I used to stew it for 2 hours only, but I was like maybe I'll just give it a try. Turned out great though! I guess in the future I'll always stew it for 4 hours! This looks incredibly delicious and I will have to try this recipe. 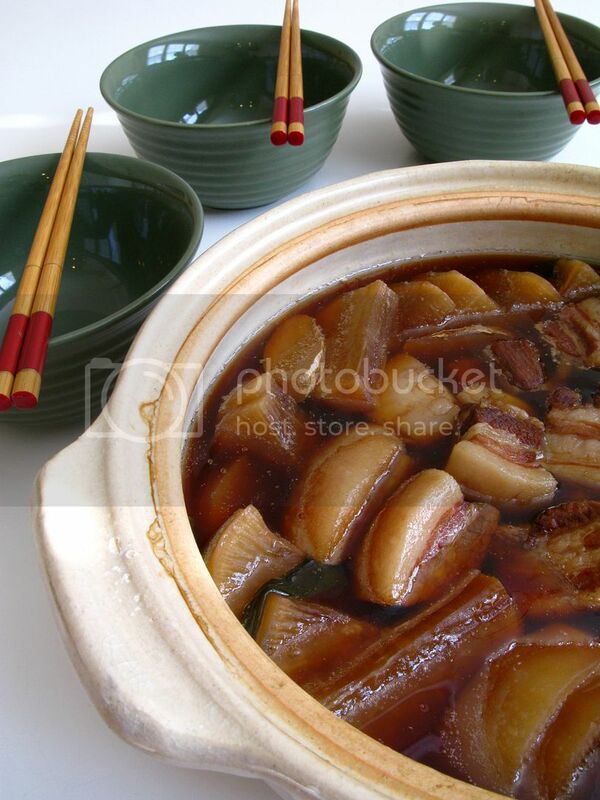 I love pork belly and sometimes cook it in garlic and fermented bean curd. I really enjoy your blog! To Jen~. Thank you so much!! Any comment means a lot to me!! I'll have to try your way of making pork too!! Sounds delicious! !